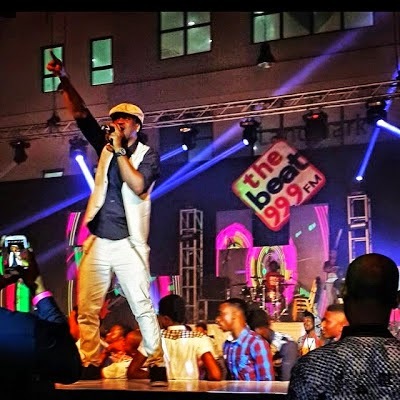 While performing at the Beat 99.9 FM’s Triple 9 Concert last night at the Landmark Event Centre, Victoria Island, Lagos, Peter Okoye fell off the stage. The Pop duo were performing ‘Bring it on’, a song off their new album ‘Double Trouble’ when Peter Okoye apparently stepped too close tothe centre edge of the five-foot elevated stage and fell off. He tumbled and landed on the floor, hitting his back against the protective metal barricades used to shield fans from the stage. “I fell off on stage and it wasn’t funny… Like we said” keep ur head up high and standing tall… I will surely bring it on” #sadFace #headingToTheHospital love u all!” Peter wrote on IG.